The Madeira community is making an impact on the environment in a positive way. 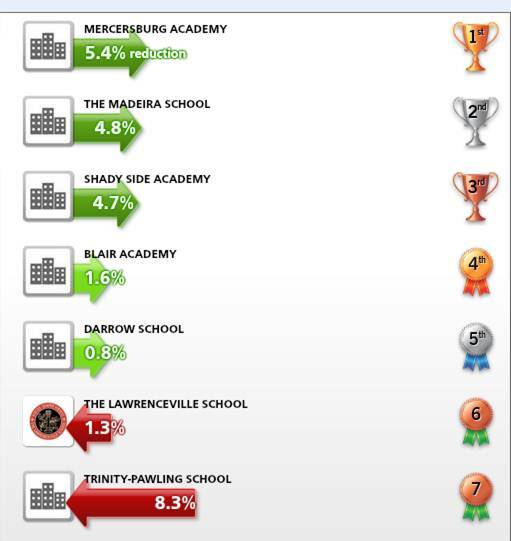 Together, the campus placed second overall in a contest between 11 mid-Atlantic prep schools, which measured a decrease in overall energy consumption over the month of February as compared to the energy consumption average for the school for the past three years. The Green Cup Challenge, which takes place every February, invites schools to measure and reduce electricity use and greenhouse gas emissions, and supports other efforts, including recycling and water conservation. 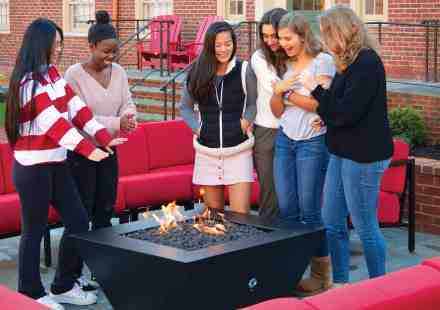 Overall, 150 schools compete and Madeira competes specifically against 11 other prep schools in the mid-Atlantic, including Shady Side Academy and The Lawrenceville School. The contest also empowers students and builds community, while raising awareness about climate change and resource conservation. During this year’s challenge, competing schools reduced electricity consumption by 325,095 kWh and prevented 505,676 pounds of CO2 from being released into the atmosphere from power plants. In just one month, Madeira used 5.6% less energy than the past three year average, even while running heaters and other energy-consuming equipment. As for the energy bill, the school saved a total of 17,960 kWh during the energy contest. At the rate of $0.08/kWh, Madeira saved over $1,400.